Years ago, when I was a newly licensed therapist, I saw clients in my practice who used disordered eating behaviors to cope with deep emotional pain and trauma. At the time, I didn’t fully understand the potential deadly health consequences of these behaviors. Since then I’ve been trained as a Certified Eating Disorder therapist and became better educated on the effects of Eating Disorders on the body and the damage they can cause. These disorders are often misunderstood but are the most deadly of the mental health disorders. There are severe health consequences associated with Eating Disorders. The more obvious one is Anorexia where individuals severely restrict food and become very underweight, but with Bulimia there are more secret behaviors where one vomits after meals or may use laxatives and diet pills to limit weight gain. Long term issues such as anemia, esophageal rupture, osteoporosis, liver problems, loss of heart muscle and even death can occur. 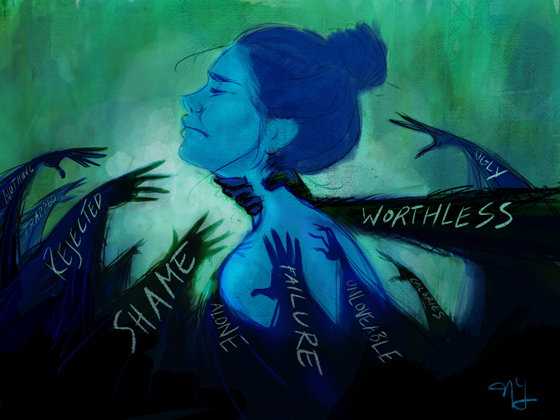 It is thought that as many as 24 million Americans suffer from Eating Disorders. They are frequently undiagnosed because the affected individuals see their behaviors as “friends” and “allies” against the pressures and overwhelming anxieties they typically feel in life. They often go to great lengths to hide, minimize and deny their disorders to distract family, friends and even therapists from uncovering these potentially destructive behaviors that allow them to cope and control their environment. Without effective help, around 20 percent of those with Eating Disorders will die of them over the long term. Therefore, it is very important that these individuals get the treatment they need. It is often difficult to recognize the symptoms because obsessive behavior around eating and weight is “normalized” in our culture which appreciates thinness and celebrates beauty ideals. I have had clients in my practice who have learned how to reduce these destructive behaviors and find healthier ways to cope with their anxiety and reduce their depression. I have helped them to decrease their deep feelings of unworthiness both clinically and spiritually by understanding who they are in Christ and to see their worth and value as God sees them. A fine layer of downy hair may cover the body or face. If you see these signs in someone you know please encourage that person to get help.